For top quality parts & service, get your valve actuators in El Monte CA from Bernell Hydraulics. When valves are too large to operate manually in a timely fashion, or inaccessible due to unsafe environmental conditions, valve actuators must be used to operate the valves. With so much riding on the proper operation of your valve actuators in El Monte CA, you can’t afford to order any old product from just any supplier. Instead, you need quality actuators you can really rely on. The best place to get these actuators is from the experts at Bernell Hydraulics. We only sell quality parts and we stand behind our products and our advice. At Bernell Hydraulics, we stock a wide variety of valve actuators including manual actuators, hydraulic actuators, and electric actuators. We even have valve actuators in El Monte CA suitable for linear, quarter-turn, or rotary applications. At Bernell Hydraulics, we stock a complete selection of hydraulic parts for all your mobile, industrial, and agricultural applications. When replacing valve actuators in El Monte CA, you may need new valves, connectors, hoses, or pumps too. 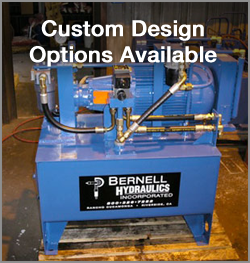 Bernell Hydraulics makes it easy to buy everything at once and be sure the parts will be compatible. We’d be happy to answer any questions you may have about our inventory. Just call us at 800-326-7252.